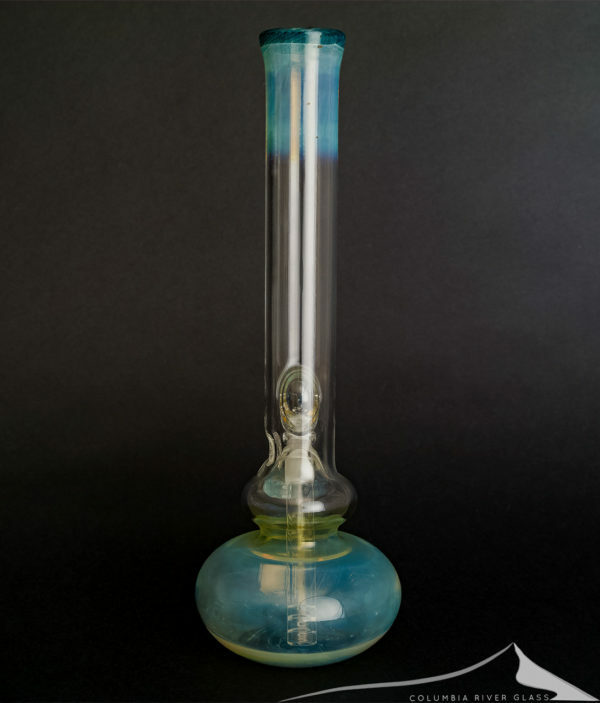 A classic round bottom bong from HVY Glass out of California. 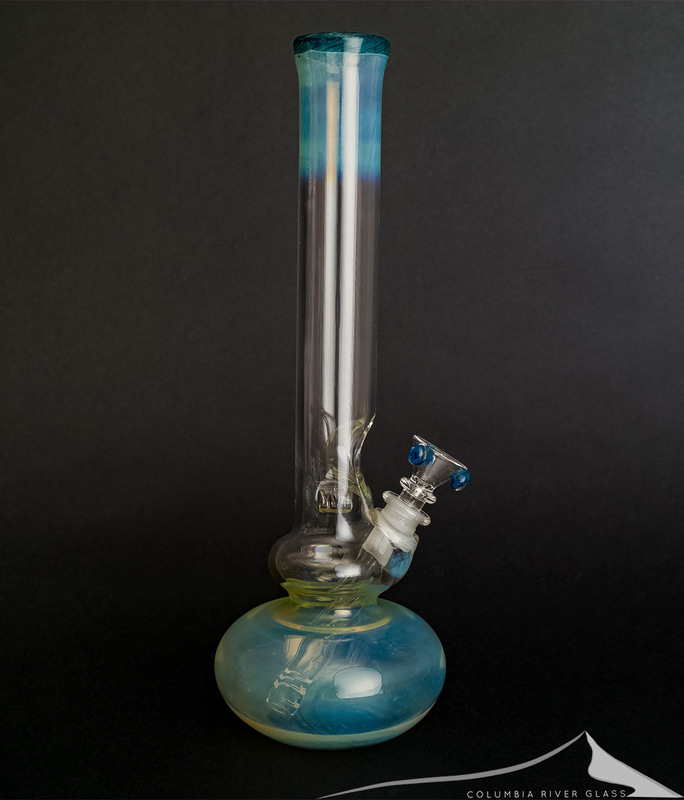 Blue/green accents and heavy silver and gold fuming create beautiful colors on this piece. 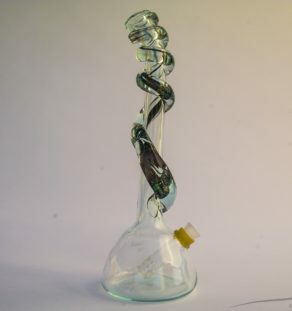 A slotted stem adds to function, and and ice indent in the neck makes it easy to stack ice in the neck – a bong iced with crushed ice takes cooling and smoothing out your draw to the next level. At 13 inches this is a nice size to handle as it’s light in the hand but has great function. The oversized flower bowl with blue highlights is included. Beautiful work from HVY Glass!